The trips would not be possible without our long standing main sponsors BT Fleet. 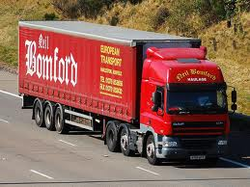 BT provide two lorries each year for the summer trip and one for the winter trip and also fund the fuel for the vehicles. Hunter Plastics have provided a huge range of pipes and bends for the external and internal works to connect the septic tank to the building and connect up some of the toilets in the new bathrooms. Brewers of Romford have donated paint for this years trip, in various colours which means fantastic murals can be designed and created at the school by the volunteers to really brighten the place up for the children. Mantair Limited of Claton On Sea, Essex have donated a septic tank to the charity. The tank is being taken out to Balanesti, Moldova for the 2014 summer project. The tank (with the help of the locals) be placed in the grounds of the school where the TEECH volunteer team will be installing indoor toilets for the children, teachers and community. Salamander Pumps have generously donated two pumps to the project which will be used to feed the new showers we are installing for the children. B.Danby & Co Ltd have donated two shower trays and 4 showers for the 2014 project. Help and support from the new supplier is really welcomed by TEECH as we are on a very tight budget so all help is fantastic. Bonus Electrical who are suppling a large amount of electrical items for the huge task of wiring the lights, water heaters in the new bathrooms of the school. required for summer and Christmas trips. The underfloor heating store have kindly donated aquaboard for the showers areas and tile adhesive and grout to help complete the showers and splash backs in the bathrooms. 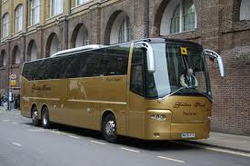 In 2014 TEECH are lucky enough for Galleon Travel ﻿to loan us (for another year) a coach for the summer trip which means our volunteers can travel in comfort. Clacton Tool Hire donated the use of a nail gun plus nails which was used by the carpentry team. The gun made a huge difference with the speed at which the stud work and room partitions were contructed. A great time saver. 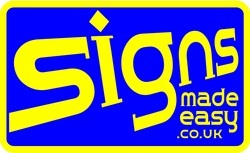 Signs Made Easy designed and donated all the signage which is on the charity van. TEECH are most grateful for their time and support as this really helps promote the charity where ever we go!! 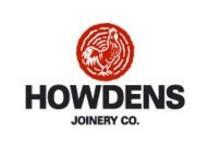 The Clacton branch of Howdens Joinery have supplied three interior doors for the rooms in which we are creating bathrooms. P&O provide discount provided on the ferry crossing on summer and Christmas trips for the TEECH Van. Harbour Shipping – for vital the assistance with the customs paperwork for Moldova. Bathroom Studio Superstore, Clacton have provided TEECH with a discount for a number of years to enable us to buy some of the sanitary ware we require for a project within a tight budget. Bob Parfit of Wellingborough who donates clothing, paint, walking aids, crockery and anything else he kindly has spare to TEECH on a regular basis which we take out to Romania and Moldova in the summer and at Christmas to donate to families in need. John McPherson Architectural, Harwich – for completing the plans of the toilet rooms being created at the school, free of charge. MR Currell Ltd Painting Contractors based in Colchester, Essex – donated a large quantity of paint which was used in 2011, 2012 and 2013 with the last lot now being used in 2014! Falcon Promotions – for the printing of the 2014 t-shirt.